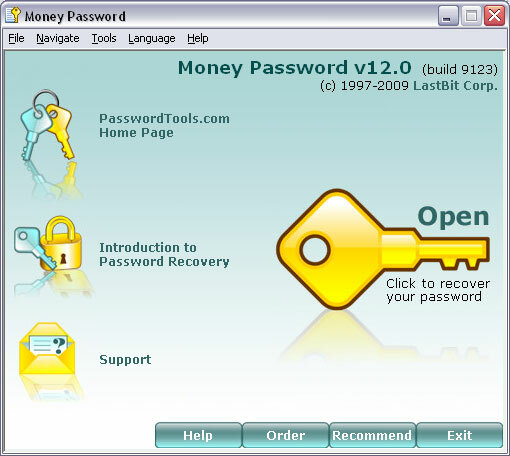 Money Password is able to recover lost or forgotten passwords to password-protected MS Money databases (*.mny, *.mbf). Instantly cracks passwords for MS Money files version 2001 and earlier. MS Money 2002+ protection scheme was significantly improved, so universal recovery methods, such as Brute Force Attack and Dictionary Search, must be used to decrypt password. • Folder Crypt - Password encryption for Windows file and folders with standard algorithms. • Folder Lock - Password protect, lock or encrypt files and folders from others in seconds.